MARGI’S TOP WRITING TIP: I studied writing in the early ’80s in Melbourne. I don’t remember much about what I studied, but I do remember one of the teachers – an author himself – stating, `a writer is a person who writes’. That always stuck with me, because basically that`s what it comes down to: fronting up and putting the words down on the page. Margi Gibb was born in the Victorian high country. She is a singer, songwriter, visual artist, adventurer, survivor, writer and educator. An earlier version of her memoir Kissed by a Deer was written as the creative product of her PhD. It is her first full-length work of non-fiction. 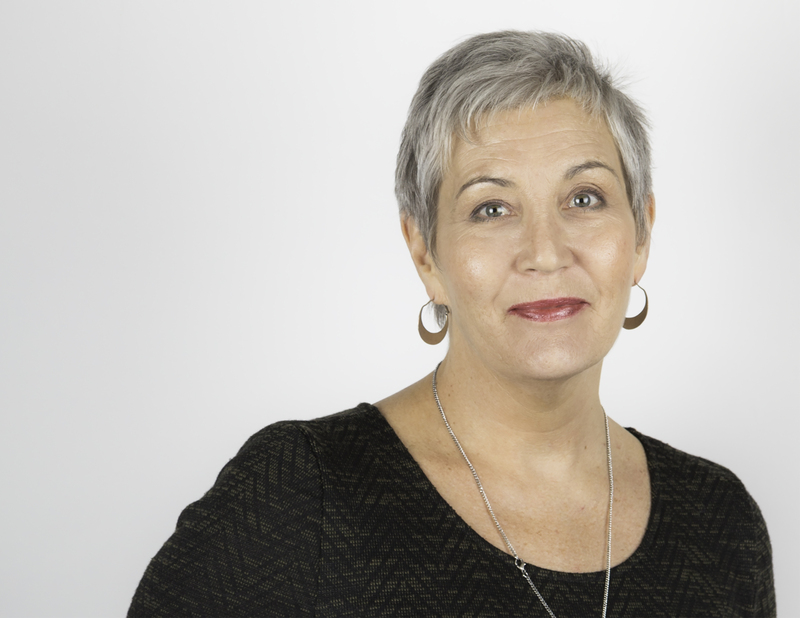 Margi currently lives in Melbourne, Australia, where she works as a learning advisor for an international college. Find Margi on Facebook. Why do you write? I`m a storyteller and stories beckon to be told, so writing is one of those things I feel compelled to do. In a way stories are all we have to help us understand and make sense out of life. I love sharing a good story. What would you be doing if you weren’t a writer? I`ve always written in some form or another so it`s difficult to imagine not doing it, but I also like to paint, sing and play guitar. If I`m doing not doing one them, then I`m doing the other. I love all forms of creative practice. What was your toughest obstacle to becoming published? I`m very fortunate: I`m not one of those writers who struggled to find a publisher. I intuitively and intellectually knew where to send my manuscript – the toughest part was summoning the courage to send it. What’s the best aspect of your writing life? The best aspect of my writing life is the creative engagement with the text. I love working with the words on the page: they demand absolute concentration – so writing becomes a form of meditation for me: a way of finding stillness. —the worst? The physical pain of sitting for long, long, hours: writing requires a great deal of physical and mental energy. What would you do differently if you were starting out now as a writer? I`m not sure if I`d do anything differently. I would have liked to have started to write books when I was younger, but the reality is my first book took a long time to incubate. I don’t believe in forcing a story, you have to let it grow and develop organically. What do you wish you’d been told before you set out to become an author? Buy a good chair because you’re going to need it. Seriously if you are about to embark on a long writing journey you need to ensure you have everything in place that looks after you physically, because when we write we tend to forget the body and spend a lot of time in our heads. What’s the best advice you were ever given? `Take it like a writer’: be prepared to write – rewrite and edit, edit, edit. Prepare to be swept away by a story that is intimate, true, and utterly compelling. Margi Gibb’s much-loved father dies and, with her immediate family largely gone, her life is changed irrevocably. Immersing herself more deeply in art and music, she travels to America to study the sacred art of the mandala, exploring the wisdom traditions of Indigenous Indian peoples in the process. Then after a serendipitous encounter back in Australia she travels to Dharamsala to care for children in an after-school program at a Tibetan women’s handicraft cooperative. Her underlying passion is to initiate guitar lessons for Tibetan refugees. What follows is unexpected. 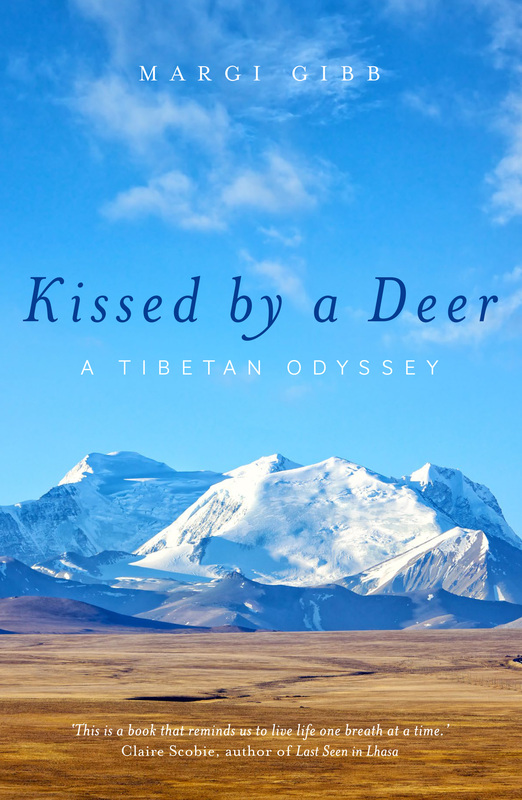 Margi’s developing bonds with two very different Tibetan men, Tenzin and Yonten, change her life in complex and enduring ways. Author of award-winning short stories and internationally acclaimed novels Rosanne Dingli says clues to the future lie in the past. I’m often asked for an opinion on the future of books, writing, and publishing. Good questions come from those who have been writing for some time, who have seen changes that have profoundly and permanently shaken the industry. Publishing has transformed since 2009, and even if some fundamental things have stayed the same, the paradigm shifts and swings experienced can never be reversed. Clues to the future lie in the past. The book world has always been subject to upheaval and disruption, especially with language and vocabulary. Political topics caused splits in families and communities, but also had a hand in altering and varying what appeared in print, so habituation and expectations of the reading public evolved. The evolution can be attributed to four causes: affordability of books and universal education, establishment of book production and selling processes, increased rapidity in communication, and enormous innovations in printing and computer technologies. Mass production of books, widespread literacy, and more leisure in people’s lives led in the post-WWII years to burgeoning entertainment, including a sharp rise in publication of fiction. Publishing houses experienced their glory years, and the production/distributing cycle was established, enduring to this day. The mass media of communications shrank the globe; news travelled rapidly, as did current affairs, celebrity gossip, and popular psychology. Offset printing dramatically changed the speed and quantities of print runs. Nothing, however, exerted as much power and turbulence as the advent of the home computer. Owning the means to record and process words has revolutionized writing. And the internet made magic happen. By 2006, people were writing more than ever before. It was not long before self-publishing became available through companies such as Amazon, Smashwords, Ingram Spark, and others. Having the means to produce a manuscript and have it published cheaply or at no cost created a tsunami of material by writers who understood the tools. Still, just because one has the means and tools does not always mean the product is excellent. Many people own sewing machines, but not all are good enough tailors to make and sell clothing for a living. It’s possible to predict that gross over-supply of self-published material will eventually plateau and subside, simply because it’s not possible for all who try to succeed. It is inevitable – even by the law of averages – that many will fail. Fail to finish a manuscript. Fail to publish it adequately well. Fail to attract enough sales. Fail to reach potential or reader expectations. Even if one follows advice of those who have done well, ticks all boxes, acts professionally, and “does not give up” there is absolutely no guarantee every book will succeed. Even very famous household-name authors have a few titles that bomb. Many books by thousands of amateur and professional authors who have done their utmost to write, produce, and promote have sunk to the bottom of the pile at Amazon, never to rise or be seen again. In the next five years or so, many writers will give up. The difficulty to do well at this game – however one chooses to publish – will be widely recognized. Careful observers of the book world noted in the past six or seven years that publishing has split into two (or more) streams. Traditional publishing and bookshop distribution and selling is one. Online production and selling, of both ebooks and paperbacks, is another. There is a bit of overlap, but it’s an intersection used mainly by readers, who might swap streams from time to time. Very few authors can say they belong squarely and lucratively to both sides. An independent author who ventures into a bookshop after spending a lot of time online quickly observes how different the two streams are. If the products were not so similar, one would be forgiven for thinking they were two completely separate industries. And in many ways they are. One can predict that in the next few years, this divide will become wider and harder to traverse. The future will introduce more publishers, aggregators, and distributors such as Amazon and Smashwords. Trying for a corner of the market can be very tempting. Small publishers, too, will proliferate, but not for long. The big publishing conglomerates will hold their solid position. But only if they adapt, and adopt efficient resources to compete with the slickest, fastest, and most innovative of the independents; and if they keep their prices down, which has always been difficult. It won’t be enough to publish electronic, paper, or audio editions. One will need to provide incentives such as background music, animations, and other additional material for ebooks, interactivity, well-illustrated paperbacks, fold-outs, and a number of ingenious inventions to keep books at the forefront of competing entertainment on various media. Although edification and education are the other two reasons the world wants books, entertainment is the foremost reason they stay popular, and will continue to do so well into the future. Going back to those four points above; if we adjust innovation and progress according to the times, we can expect more of the same, with a few surprises and twists in the tail. BIANCA’S TOP WRITING TIP: Allocate a two-hour block every day to writing, and stay with your schedule. All writers need discipline, and setting aside regular time slots ensures this happens. Spontaneous creativity may not always come along, but routine helps to foster it. Bianca. C. Ross is a writer and a small-time farmer. 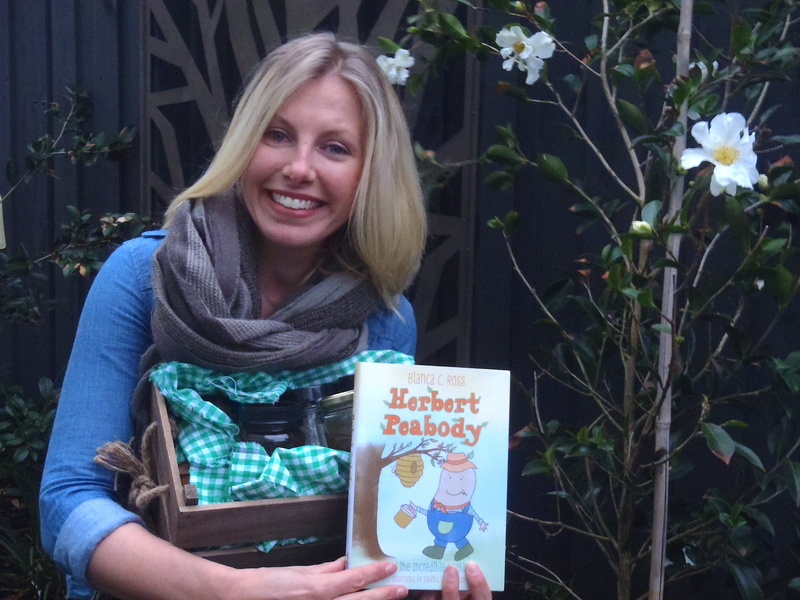 One day when she was sitting in the garden at her farm, she decided she would write about Herbert Peabody, the farmer who digs food. She’d always enjoyed being read to when she was little, especially books with pictures. And she’d grown up in a house that had a big vegetable patch in the backyard. The idea to write about Herbie had been brewing for a while. Bianca had always liked healthy food and this led her to work at some big food companies in Australia including dairy and fruit juice companies. She had always enjoyed communicating, and this saw her working in different ad agencies in France, Singapore and Australia. 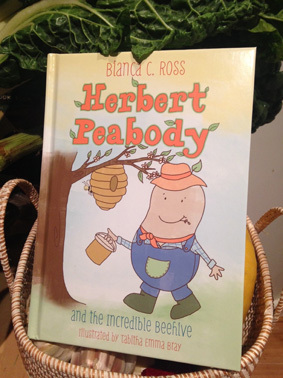 Herbert Peabody and His Extraordinary Vegetable Patch is Herbie’s first adventure. Why do you write? I write because I love to. I enjoyed story writing in primary school, and wrote short stories and poems throughout secondary school and university. Writing copy evolved to be part of my career, and with the ‘Herbert Peabody’ book series, I write to entertain children, and hopefully their parents. Herbie shares important messages in a fun way through characters children can easily relate to, and I think it’s important for young readers to have positive and fun role models. What would you be doing if you weren’t a writer? My passions are advertising and marketing, because both disciplines seek to communicate and engage people. It’s important to share an affinity with your audience and establish a connection with them, and understanding people has been fundamental to my career. This inspired me to write Herbert Peabody. My other dream would be to sing and perform. What was your toughest obstacle to becoming published? Producing the book to the specs I wanted to best bring the story to life – colour and line illustrations, hard back, A5, with a map at the front so children could orientate themselves with where the stories are set. So, because I’m impatient (!) I self-published. What’s the best aspect of your writing life? People telling me how much their child loves Herbert Peabody, and that he’s inspired them as a family to start growing their own herb pots or veggie patch. There are many wonderful stories to read, and I am both delighted and humbled when someone chooses mine. —the worst? Having twenty four hours in one day. Inspiration comes along often, and there is not enough time in one day to record it! What would you do differently if you were starting out now as a writer? I would take time to enjoy the writing process – the suspense, tension and inspiration – rather than worry about the result. Knowing readers enjoy my work is encouraging, and I now appreciate planning, writing and editing to produce the best work I can. What do you wish you’d been told before you set out to become an author? To find a writing mentor. I’m lucky to have met writer, Les Zig, and designer, Luke Harris, who welcomed me to the world of writing. Their patience and encouragement compelled me to stay. What’s the best advice you were ever given? To unfold a story slowly, and deliver the ending in a compelling way that gets to the point. Good writing is like going to a great party and leaving while it’s still swinging. It’s the mystery and the tease that entices the reader, and the wrap should leave them wanting more. 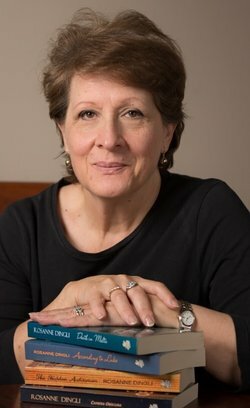 Diane Jackson Hill co-authored the successful Uke’n Play Ukulele book/CD series, published by Music Sales Ltd and Hinkler Books. She has another musical picture book contracted to New Frontier and two other picture books to be released early in 2016: Annabel’s Dance, being illustrated by Lois Bury and published by Wombat Books (about a sheep with ADHD); and Chooks in Dinner Suits – An Oddball Tale of Big Dogs and Little Penguins, being illustrated by Craig Smith and published by Museum Victoria (the real story behind the movie Oddball). 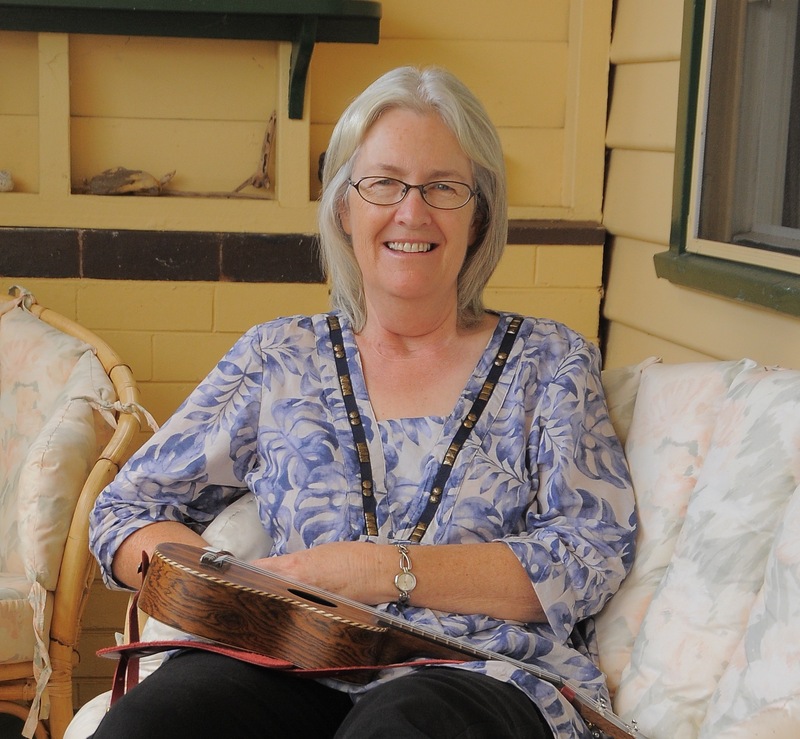 Diane lives by the sea in southwest Victoria and plays ukulele! Visit Diane’s website and follow her on Facebook. Why do you write? I think I write because I have to. Mental stimulation perhaps? The challenge? The learning? What would you be doing if you weren’t a writer? Same as now but with a lot more time to walk on the beach. What was your toughest obstacle to becoming published? Finding the right publisher who connected with my stories. What’s the best aspect of your writing life? Working the manuscript up to publishing stage – and of course, holding that book in your hand. What would you do differently if you were starting out now as a writer? Work a lot more on my stories before I sent them off to a publisher. What do you wish you’d been told before you set out to become an author? Sometimes the editing process with a publisher can be crushing. What’s the best advice you were ever given? Show, don’t tell. 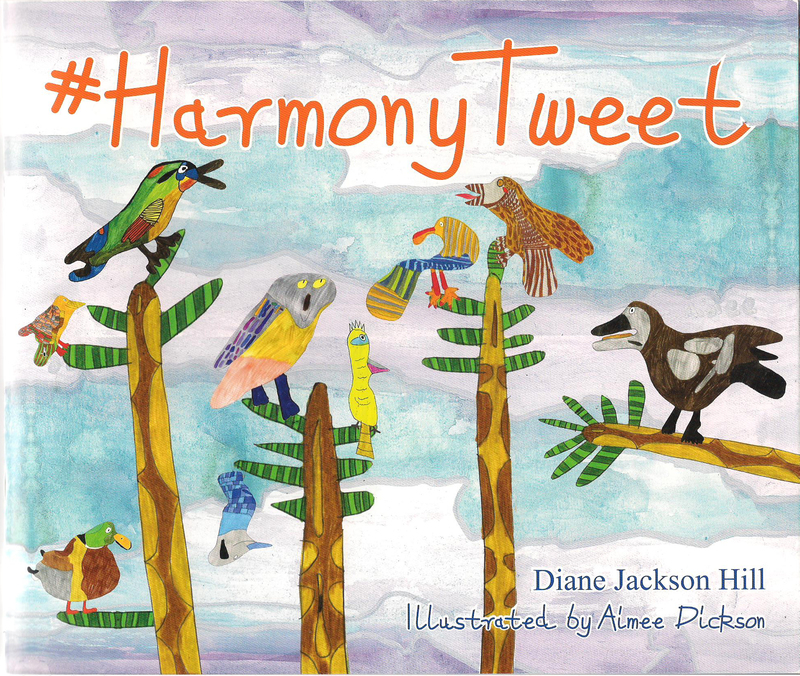 #HarmonyTweet is a story about community with music and social media concepts for early childhood – four to eight years. Illustrations are by Aimee Dickson, a young woman whose exceptional talent was unlocked by a teacher who re-taught her how to hold a pen in her last year of school. Aimee started writing for the first time, then doodling. From those doodlings came characters, backgrounds and then masterpieces. I had a manuscript that suited Aimee’s bird characters and so this book was born. By pure accident, it shadowed Aimee’s real story. A delightful orchestration of a community, wired by social media and powered by the love of song.